The Overwatch Summer Games are back!! This is the first 'repeat' event for Overwatch, and this time it seems to based more on Summer, and less on an olympic-like sports competition. There are great new skins and highlight intros, and all of the items from the 2016 are offered at a discounted price! First off, Lúcioball is back, but this time in two fashions, ranked and unranked. The interesting thing about ranked play is that it is a second way to earn competitive points outside of standard competitive play. 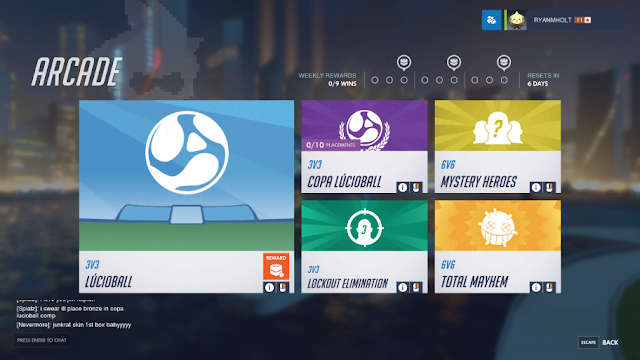 Like regular competitive play, Copa Lúcioball requires each player to play 10 games before they get sorted into a rank. 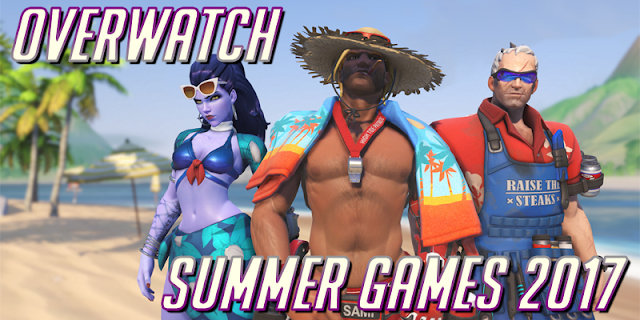 The season will last 20 days until the Summer Games event ends on August 28th. On top of the new mode, all of the items from 2016 are 66% off, so if there were items you missed from 2016, here is your second chance to get them again! This is also the first event with the loot box system in place, in which the random items generated are loaded to decrease the change of duplicate items. Hopefully this will make people feel better about limited time items and events, as typically the day an event comes out a lot of people buy loot boxes only to get hammered with a wall of duplicate items. I personally hope this will bring about a competitive version of Mystery Heroes, and that Blizzard is just testing the waters using Lúcioball. Last year Lúcioball was seen as a knock off to Rocket League, and while it still plays that way, the slight tweaks to the formula make for a better Overwatch experience. The Overwatch Summer Games 2017 is now live on PC, Xbox One and Playstation 4, and runs from August 8th to August 28th. Get out there and have fun!